Hawaii authorities are investigating after dozens of baby hammerhead sharks were found dead Tuesday near Keehi Lagoon in Honolulu. 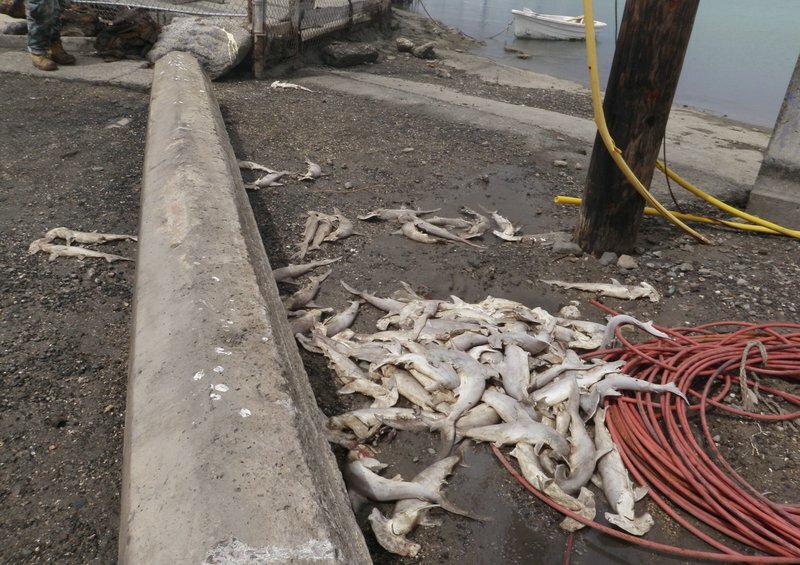 The state Division of Conservation and Resources Enforcement has opened an investigation following the discovery of 50 to 100 dead shark pups piled up near La Mariana Sailing Club. The lagoon is a known birthing location for hammerhead sharks, but it is not natural for shark pups to be found on shore in large numbers, state officials said. “To breathe they have to keep moving, so once they’re in the net for even two to three minutes, they’re unable to breathe and they suffocate,” Rossiter told KHON-TV. “When it’s the pupping season and it’s a pupping area, then maybe they should restrict or ban the use of gill nets just for a couple of weeks to give them a chance,” Rossiter said. Authorities are asking people with information on the shark deaths to contact the state Department of Land and Natural Resources.